Few people would doubt that Telltale’s adventure games are some of the best released in the last couple of years, with their great choice and consequence gameplay, stories and characters. And even if it’s likely that most serious gamers have already played through many of these games, those who have not (or are in the mood to help a charitable cause) could do worse than get the very latest Humble Bundle. This bundle includes a total of 17 video games for those who pay the full price of $15 US dollars. But you can also choose to pay whatever they want, taking into account that paying at least $1 gets you a bunch of Telltale games which include top-notch adventure games like the superb The Walking Dead – season 1, the first two seasons of Sam & Max, and others. 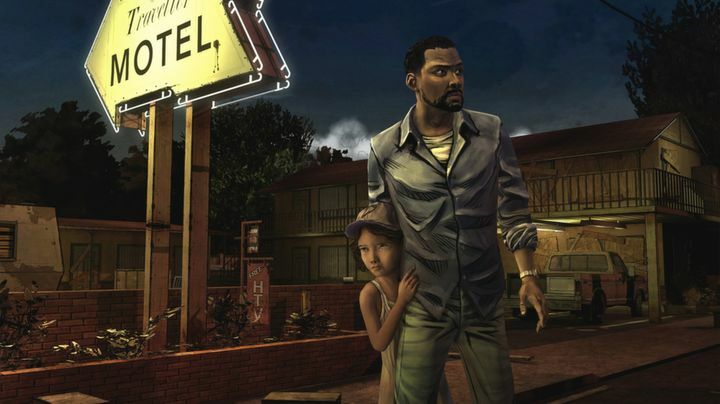 Those who pay more than the average (currently $8.71) also get The Walking Dead spin-off Michone, Tales from the Borderlands (arguably 2015’s best adventure game), the excellent The Walking Dead – Season 2, Game of Thrones: A Telltale Games Series and also a discount coupon for the well-reviewed The Walking Dead: A New Frontier. Some of the best Telltale games ever are on sale in the latest Humble Bundle. Those who pay the full $15 dollars will also get the good Batman – The Telltale Series adventure and also Minecraft: Story Mode, which despite not getting such a positive reaction, is also a pretty decent episodic adventure game. Aside from this you also get the Minecraft: Story Mode – Adventure Pass, which lets you access the final sixth, seventh and eighth episodes of Minecraft. Although some may find the omission of 2013’s The Wolf Among Us annoying, as this is one of the better Telltale video games due to its great characters and story, while the pretty good Sam & Max: The Devil’s House is also missing from this Humble Bundle. But still, those who purchase this Humble Bundle also get to decide how the money will be split between the developer, charity and the people behind the Humble Bundle themselves. Regarding the charity option, you can choose one to your liking as well, including the likes of WaterAid America or Wikimedia Foundation. Those who buy this Humble Bundle can redeem their games on Steam, which as almost everyone knows these days is the premier digital distribution platform for PC games. And this surely is a chance to get some of the best adventure games released in the last decade at a bargain price while also having the option of supporting a charitable cause… This is something you will be able to do until August 1, which is the date on which this sale ends. Update: Jurassic Park: The Game, The Wolf Among Us, Sam & Max: The Devil’s Playhouse, Poker Night 2 and The Walking Dead: 400 Days have been added to the Humble Bundle.